RMCGF 2016 - Italian Marco Settimo wins on his home soil! Mathias Lund takes the lead of the race over Jonathan Hoggard and Swiss Titus-Shanghai Schmidll, but immediately Finn Roope Rapanen finds his way to the lead followed by Marco Settimo and Mark Kimber, while Hoggard drops back down to 7th. On lap three Marco Settimo gets the better of Finn driver and leads over the former leader, Kimber and Hoggard who comes back on top. Settimo has a great pace and he opens a gap higher than a second on Kimber, while behind them Enzo Valente fights against Hoggard and Rapanen for the lowest step of the podium. In the end Kimber closes the gap to Settimo, while his fellow countryman Hoggard backs in third position. 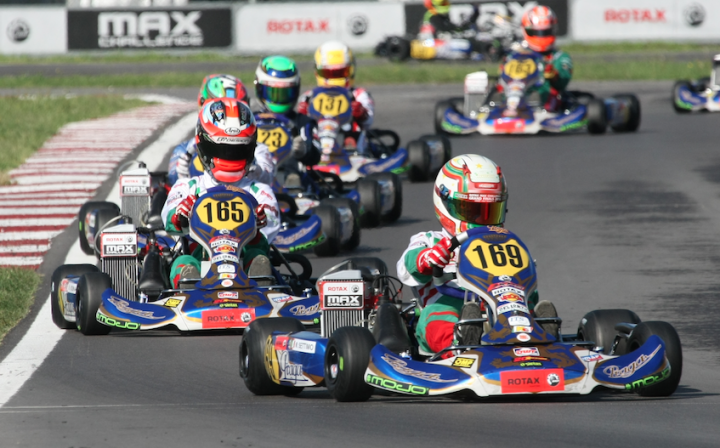 On the last lap Kimber challenges the leader, but the Italian is able to take the Junior titles in Italy once again.